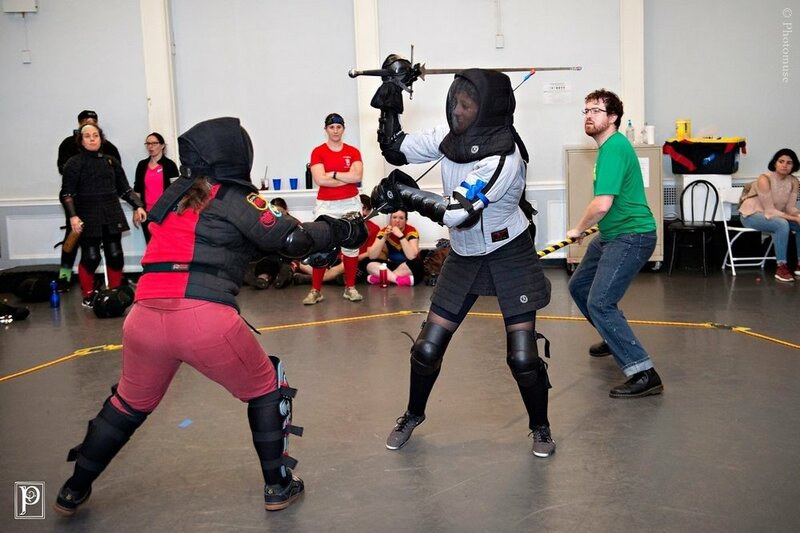 Your favorite HEMA event with three days of classes and all-women's tournaments, all in view of the Hudson River? Sounds about right. Fecht Yeah 2019: Magical Girls is going to be the best yet, with unique classes across disciplines and competitive women's tournaments in Longsword, Rapier, and Sword and Buckler. The three competitive tournaments are women only, and all genders are welcome to attend, take classes, and cheer on their friends! Watch this space for updated 2019 tournament rule sets. We've outgrown our previous venues, and this year all events will be held at the Mercy College Athletic Center in Dobbs Ferry, N.Y., right off the Hudson River. We're excited about this change, and we hope to see you there! Mercy College, less than an hour north of NYC in Westchester County, is easily accessible from I-87 and I-287, and is right off the Hudson Metro-North line. We have a reserved hotel block at the Hilton Garden Inn for $153/night, check below for details. Our Friday Night Adventure is in the works right now, we'll keep you updated! And when you register you'll see an option to "Donate a Day" or "Donate a Tournament." We want to make Fecht Yeah available for as many as we can, and if you're able to, your donation will serve as a scholarship for another fighter who would not be able to attend otherwise. We're excited to be hosting this, and we'll see you in June! Longsword, Single Rapier, and Sword and Buckler Tournaments. Classes & More! If you want it all, Full Registration + Tournaments signs you up for everything and saves you $10 vs. registration a la carte. Feeling generous? Donate a day to a fencer. Katie has practiced HEMA for four years and has studied multiple weapons including sword and buckler, poleaxe, dagger and, of course, longsword. 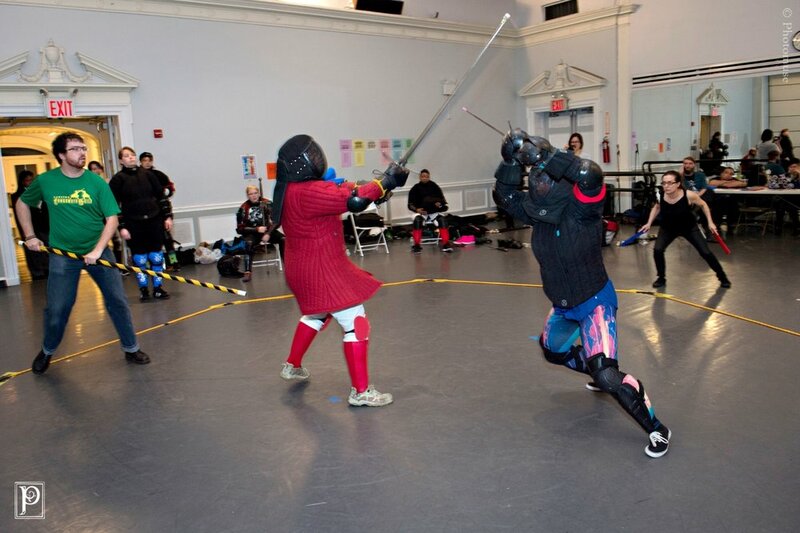 At her home club of Laurel City Historical Fencing, she enjoys taking new students under her wing and sharing her passion for the art by helping as much as she can. In 2018 she placed third in Survivors (Tier B) Longsword for Fecht Yeah and third in cutting in 2017, though she will joke her crowning achievement in HEMA is showing up on the Crushes and Confessions page multiple times. HEMA turned Katie's life around and gave her a feeling of strength that she loves to share and introduce others to as often as possible. Kimberleigh Roseblade discovered HEMA in the Spring of 2010 while living in Vancouver, BC. She became both an adult and youth instructor and coached a program known as SwordFit for five years. In 2015 she moved to Muskoka, Ontario where she started a weekly HEMA class (following the Italian martial traditions of Fiore dei Liberi) through a local martial arts school. In October 2016 she moved to Toronto, Ontario where she is now a member of the Academy of European Medieval Martial Arts. She holds the rank of Scholar and teaches a HEMA fitness class through the space AEMMA shares with the Fighting Arts Collective of Toronto. Kimberleigh has been teaching internationally at various HEMA across North America since 2014. In 2016 she won bronze in Women’s Longsword at Swordsquatch in Seattle, Washington. Jérôme Paupe has been practicing HEMA since 2007 with "La Compagnie Médiévale". At this period they studied Le Jeux De La Hache, Liechtenauer, and the manuscript of I.33. Between 2011 and 2013 he did full contact combat in full plate armor. He did longsword, polearm and kite shield with one hand sword. He has won several titles and is proud of those accomplishments. This competitive scene made him love tournaments and then he focused on developing himself by his own initiative. He won other medals in HEMA tournament, notably in Longsword and Sword & Buckler. His club is currently teaching Meyer longsword, Destreza and I.33 which he is the teacher. Even though he uses primarily the I.33 as his main reference, he tries to use a wide range of different martial arts writings to improve his understanding of the art by using a flexible approach to his research. He is currently practicing HEMA, learning Wing Chung Kung Fu, teache Sword & Buckler advanced classe at "La compagnie Médiéeval", do private coaching and attend event acros North America to give advanced sword classes. Want to teach at FY2019? Submit your class.